Victorian based multi-disciplinary consultant Spiire recently undertook a study tour of the United States with developers Stockland and Satterley to visit some of the largest masterplanned communities in the world and connect with industry leaders. Tour participants, ranging from company directors through to industry professionals, headed to Las Vegas, Denver, Houston, New York and San Francisco where they visited a range of developments. This enabled the group to gain an understanding of how large scale projects work and how some of these concepts including town centre development, sustainability and the use of technology can translate to local projects. The tour group visited two of the largest communities in the world: Stapleton in Denver and The Woodlands in Houston, which has a population of 110,000 and has been in development since 1974. The Woodlands urban design follows a ‘design with nature’ approach which was prepared in the 1960s and continues to guide development to this day. Ed Krushka, Cloverton Estate Project Director at Stockland said, “We set out to create better places for people to live – this is something we factor in to all of our communities early on. Over the next 30 years, Stockland’s Cloverton community located in Melbourne’s northern growth corridor is set to become Victoria’s largest masterplanned community. The $4.6 billion development will span 1,141 hectares and create approximately 11,000 homes for around 30,000 people. Summerlin Estate downtown, Las Vegas, Nevada. [/caption] Stapleton streetscape, Denver, Colorado. [/caption]As well as visiting developments, the group connected with US counterparts, peak bodies and local government, including the City of Las Vegas, Howard Hughes Corporation, Skidmore, Owings & Merrill, LendLease, Atelier 10 and Grimshaw Architects. Sustainability was a key focus for many US consultants and developers, with many new project visions being based entirely upon it. Grimshaw Architect’s Via Verde in the Bronx used sustainability as a driver to create affordability, illustrating that clever sustainable design can reduce the cost of resident living and create a connected community via common gardens, water harvesting and the use of solar panels. 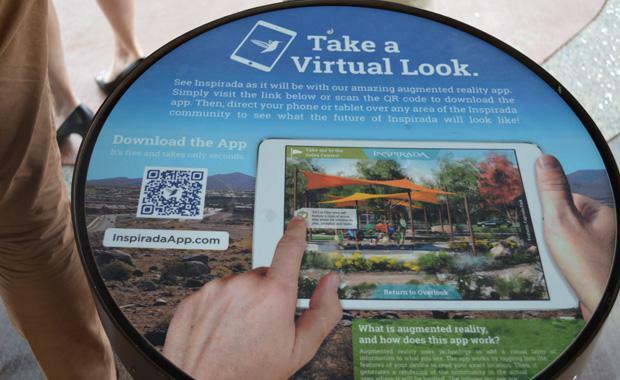 To connect with prospective buyers and residents, some developers used integrated technology platforms like apps and augmented reality. “Being able to realistically see what a community will look like early on means stakeholders can really connect with the development and its vision. This is definitely something that would work well on local projects,” said Matthew Bradbury, Associate Landscape Architect, Spiire. Spiire Director, Steve Nolan believes that to be a leader in the consulting space an organisation must expose its people to world class best practice. “As consultants we need to innovate and push the boundaries in the property development space,” Mr Nolan said. "The tour team were exposed to world class projects and were able to connect with leading organisations in the US property space, which provided an unparalleled learning experience. This experience has enabled the tour group to compare Australian and US property markets and take the best elements of both to create world class outcomes. short clip Spiire put together of its time in the US.